Isabel’s eyes darted around the room. Nobody’s here, she concluded to herself. She fixed her eyes on the prize and locked them there, knowing she’d have to make this quick before anyone else returned. There. That’s where she wanted to go – Madison’s personal little library. Of course, the much bigger, absolutely humongous one was in the homeschool room. But Isabel didn’t want to go there. Here was were her favorites were, and while nobody was watching, she was determined to finish at least one chapter of the book she was reading. Isabel pulled Missing Grace out from between the other beloved books, nervously tossing a glance over her shoulder. She was the eldest of all the Girls of Many Lands dolls – she was supposed to make sure none of the others left their stands for adventure. They were too expensive, she knew. Too fragile and valuable. They were retired, after all. And that was why if anybody found out where Isabel had been day after day, she was in big trouble. Uneasily but excited just the same, Isabel opened Missing Grace to the page number she had memorized the night before and immediately dove into the book. Her eyes devoured the words on the page, soaking up every wonderful feeling it gave her to be lost in another world. A world where Isabel could be right alongside Kit and her friends as they solved a mystery; not her dull, boring, day-after-day life of standing on display. A creaking noise interrupted her storyland adventure. Immediately Isabel turned her back on the book, slamming it shut and hiding it behind her. What was that? She asked herself anxiously. Isabel held her breath as she waited in torment to see if the noise would continue, if someone really was there. Isabel’s heart dropped to her stomach with a sickening, sinking feeling as Leyla walked in curiously. Busted! Isabel knew. “Hey, Isabel. What are you doing here?” Leyla questioned. Isabel winced. She was going to be in huge trouble. Isabel smiled, pulling out the book from behind her. “Then let’s read together,” Leyla suggested, and so the two friends opened up the book and began to read. “You know, we don’t have to keep this a secret,” Leyla suggested. “But we’ll get in so much trouble!” Isabel objected. Never try to change your GOML dolls! There’s a reason they were made for older girls who supposedly didn’t want to “play” with dolls but collect them. Their clothes were not made to come on and off. I learned this the hard way. My original plan for this post was Cécile secretly trying on Barbie clothes because she was tired of her original outfit. I couldn’t take her top off without taking off her bracelets… but she is so old, the elastic in the bracelets around her wrist have crumbled. Gently trying to ease them off her wrists, half of the elastic busted and the mini beads flew off. I couldn’t even get this one off and it still busted. And trying to put the other bracelet back on I broke it even more. 🙁 I was so furious at myself for doing that! Have you ever done something stupid involving your dolls that you wish you hadn’t? 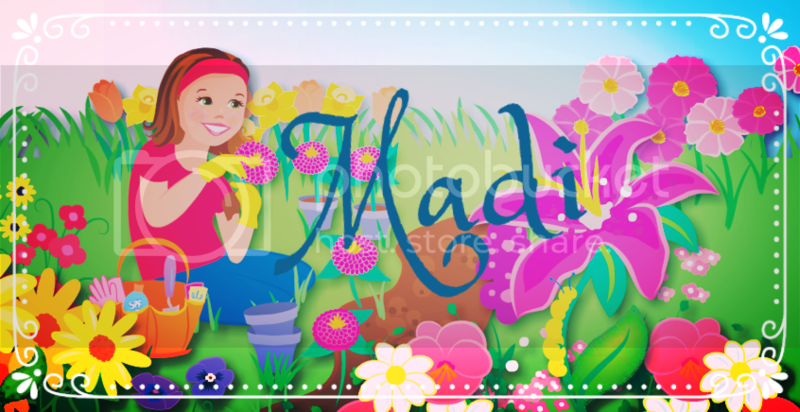 This was so fun to read, Madi! Aww, I’m so sorry about your GOML doll! But I definitely understand about doing something I wish I hadn’t with my dolls. Hopefully you can get it sorted out! Nice that the girls like to read. UGH. I once almost lost my tablet at a work conference my dad went to. He was so disappointed in me. Aw man, I know how that feels! I spilled milk all over my iPad mini and felt HORRIBLE. Oh, I totally feel for you! I set down my Lea doll too precariously and she fell on top of some doll stands and has a kind of long scratch on her cheek! Grrr! I loved this so much! I’ve never had accidents with the dolls, but my daughter cut the hair off of a bunch of her Monster High dolls before taking the scissors to her own hair. :O I can’t even say lesson learned, or that she shouldn’t have had scissors because she is eight years old, and no one thinks to hide scissors from an eight year old. Except for me, from now on. Also, I love your GOML dolls! They are all so beautiful! I didn’t relize how much I loved these type of dolls when did they quit them? Yes, it is! O.o Wow, really? I should try removing some of the other GOML dolls’ clothes then. Thank you SO much! That’s super helpful! And thank you! ?